Calling all Tony and Claire fans, Aleatha Romig returns back with a Consequences Spinoff with Ripples. In this spinoff, Aleatha introduces readers to the Rawling children, Nichol, Nate and Natalie. And like her mother, Natalie Rawlings will discover she too is part of a ripple effect where history has a way of repeating itself. Natalie Rawlings is the baby of the family. She is adored and loved by her father and mother. She practically had an easy life where everything was given to her that is until everything is taken from her. When she fails at Harvard, Natalie is afraid and hesitant to tell her parents of her failure and so when she embarks to travel to France to inform her parents, Natalie’s life is forever changed when she meets a stranger. Dexter Smithers wanted Natalie. She was his intended target. The reason behind it will be revealed but like how Tony wanted Claire, there was a reason why Dexter targeted Natalie. But will Dexter be able to hide Natalie before her family discovers her disappearance and will he be able to break Natalie and make her his. 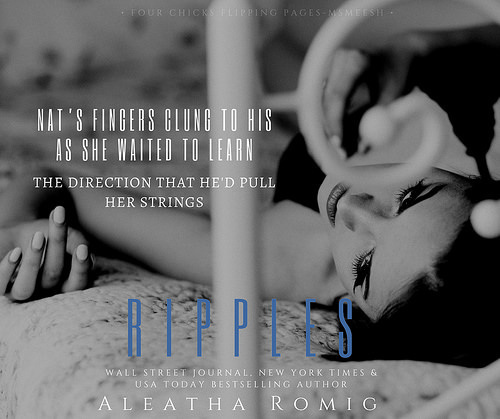 Ripples is a story that is reminiscent of the Consequence Series but very different in a sense. Readers get to see how history has a way of repeating itself and Dexter is very different from Tony. Personally, no one can be Tony Rawlings and top him but Dexter definitely makes his presence known in his dominance as he tries to make Natalie Rawlings his. Is this a conventional romance? 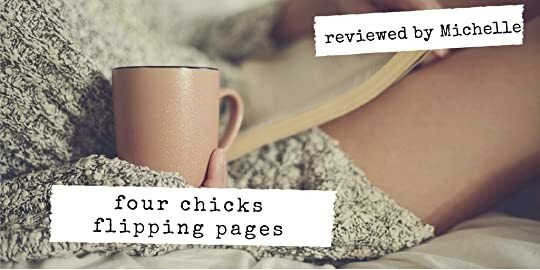 Absolutely not, but that’s the joy in reading this book because Aleatha Romig goes back to her roots of writing a story that has an edge and allows readers to get out of their comfort zone. So if you are looking for a story that will reunite you with the Rawlings family and at the same time introduce you to the Rawling children who will have you begging Aleatha Romig for more then this book is for you.